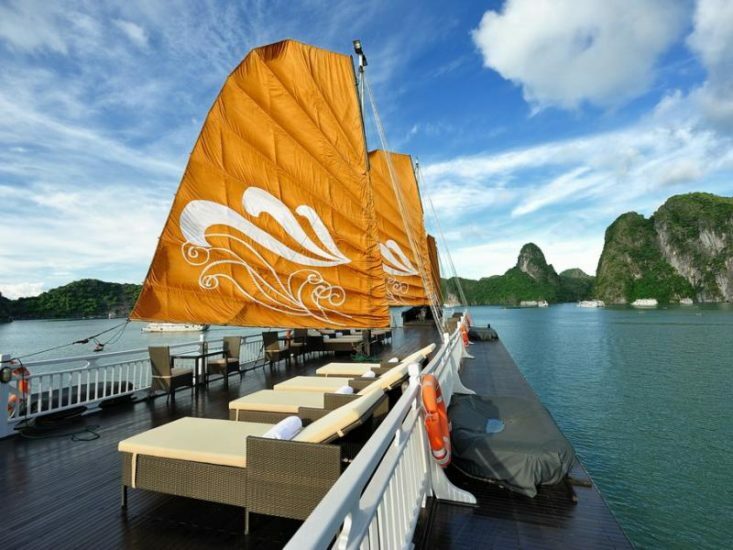 In Halong Bay, you can easily find all types of luxury cruises to suit all kinds of travelers. 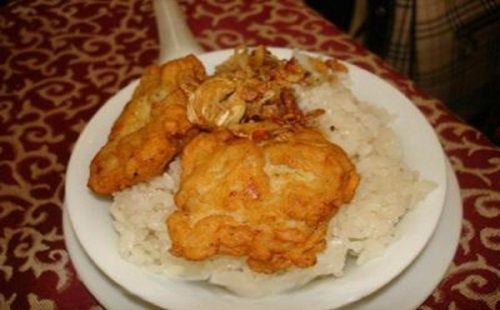 Treat yourself to a holiday to experience the splendor of Halong Bay Junk with all the best services offered on board whether you are on a family vacation or you are a couple going on a trip for wedding anniversary. Awaiting you on these luxury cruises are sophisticated boat design, impeccable service, royal amenities and gourmet cuisine. To get more information, you can click:Varying from as narrow as 5 cabins (Violet Cruise, Valentine Cruise, etc) to as huge as more than 30 cabins (Au Co Cruise), vessels all promise an unsurpassable experience and well worth all of your pennies. 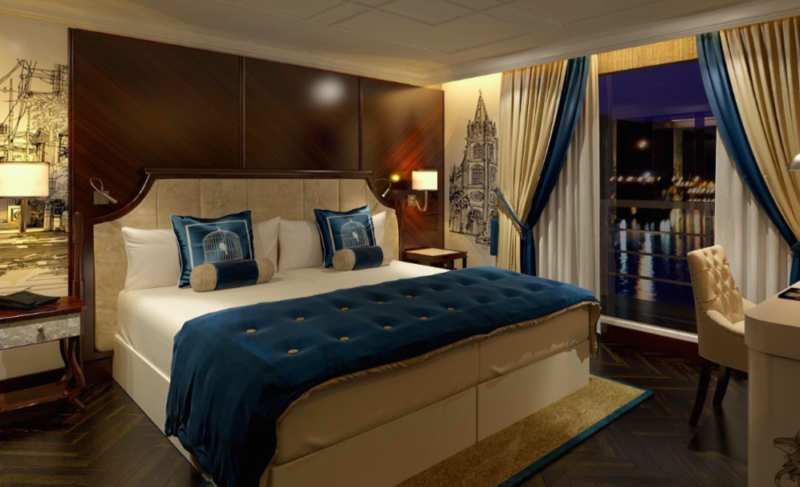 Named in this list are those cruises that offer the very best amenities that can be found in a 4 or 5 star hotel: comfortable bedding, spa service, Jacuzzi, safe box in room and exquisite food. On these cruises, each of which has its own uniqueness, most cabins offer balcony view where you can take a seat and enjoy relaxing time. 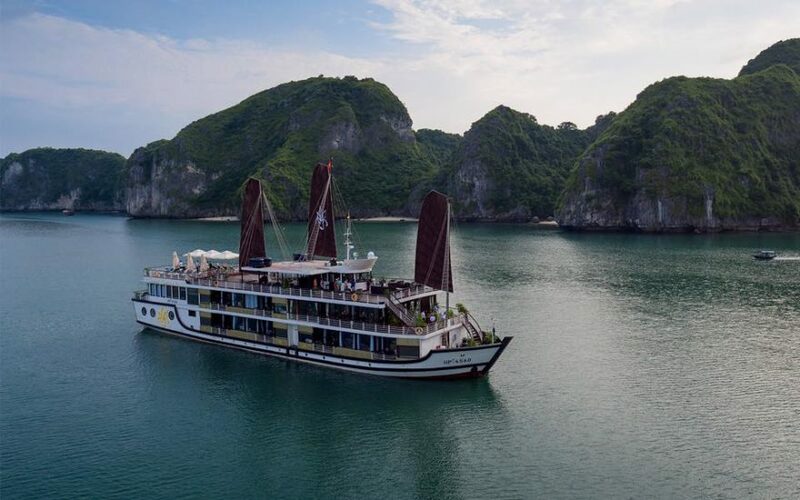 With great discount from $171 for a 2 day 1night trip, Orchid Cruises, Azalea Cruise Halong, Paradise Elegance, Signature Halong Cruise and Paradise Peak Cruise are the 5 best luxury cruises in Halong Bay for travelers on a tight budget. 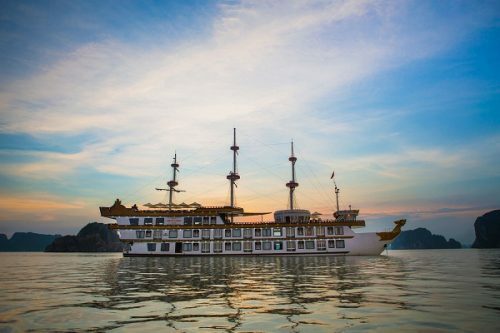 Instead of 4 hours as other cruises, it will take you only 1.5 hour from Hanoi city center to Azalea Cruise, which is considered as a sailing pioneer to discover 3 gorgeous sites: Halong Bay, Bai Tu Long and Lan Ha Bay. Supplied with good spa services with the well trained, professional and high skillful staff, Azalea Spa on Azalea Cruise Halong wants to provide customized facials, massages and relaxing therapies available to all kinds of guests. The Paradise Elegance, which was launched in March 2017 to redefine luxury cruising, is an incredible escape to magnificent Halong Bay. Paradise Elegance is such a meticulously designed steel boat which boasts classical interiors and grandeur architecture, inspiring travelers to discover this stunning natural heritage together with its mysteries beyond. Offering some of the largest suites and best facilities, Signature Halong Cruise, which is hailed as one of the largest vessels in the area, is fast becoming one of the most sought after cruising experiences on the Gulf of Tonkin. The safety of our passengers and the threat to the surrounding environment are what Signature cruises take into consideration. By supporting the local community to its highest capacity and providing local staff with jobs, they also support the local community. 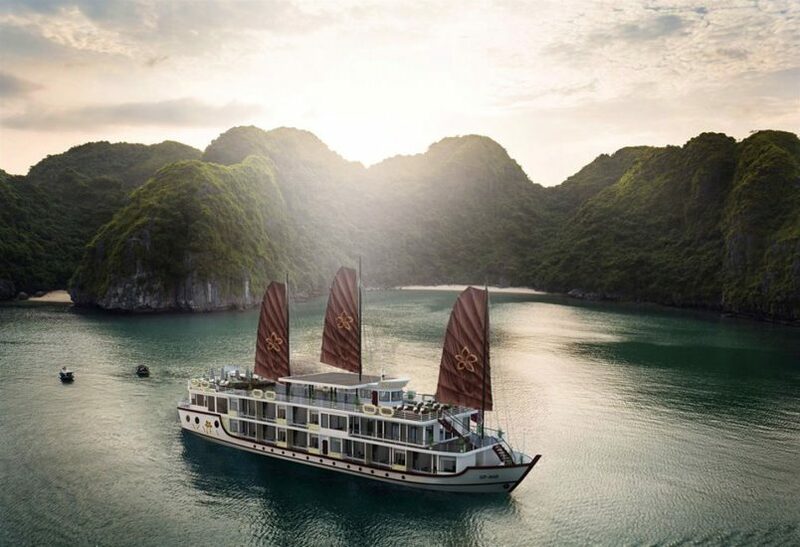 A cruise with Signature Halong Cruise in Halong Bay – the 5 star luxury Cruise will promise you a one of a kind experience. 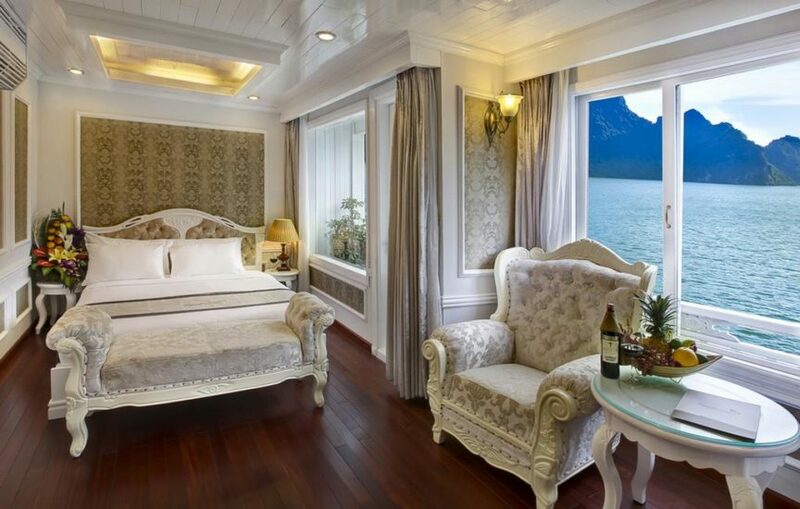 Stylish and chic in a traditional manner, Paradise Peak Cruise Halong, which is a classical work of art made of wood and from the finest materials that can be found in Vietnam, is the epitome of class and beauty. With every room fully equipped with expansive balconies, a trip with Paradise Peak Cruise is a journey to be dearly remembered. Combining the words comfort and luxury to its highest possible form and surpasses expectations, the Paradise Peak is a true royalty and a master of grace – the most sophisticated explorer in Halong Bay, tiny yet elegant.